Sew what's cooking with Joan! 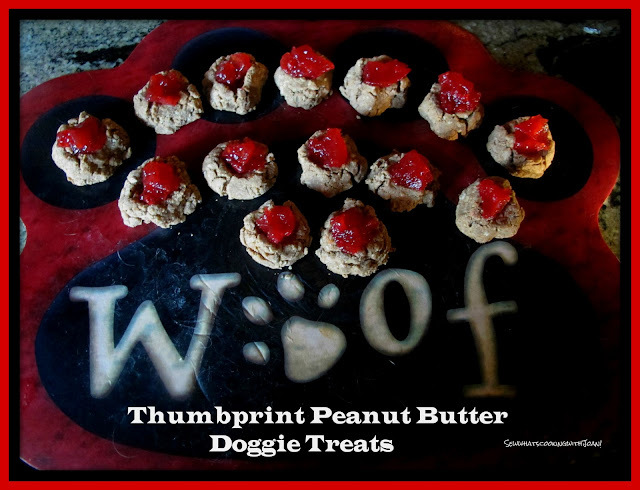 : Thumbprint Peanut Butter Doggie Treats! 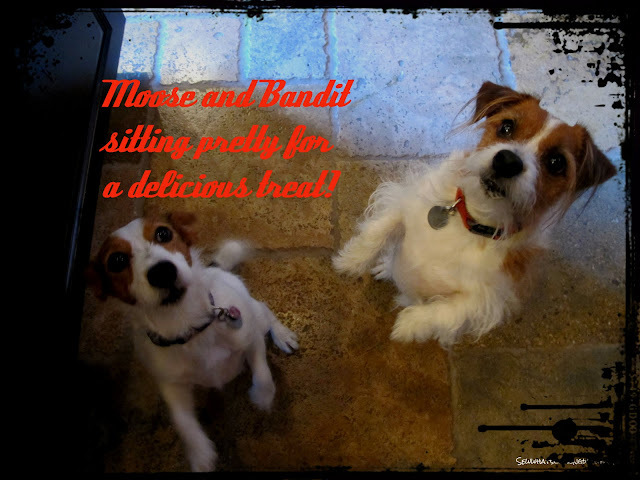 With all the running around our doggies do.......well Bandit does, Moose, not so much:-0 they need a treat now and then. I like to find healthier options for our pups, and they are easy to make at home. I choose ingredients that "I" want my pups to snack on, and ensure that they get all the right nutrients. I want to have total say over the recipe! 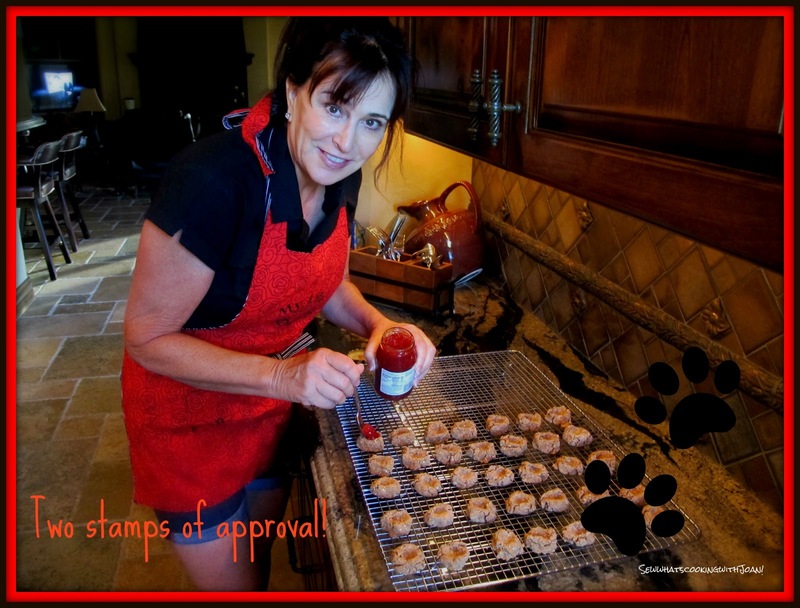 There are some basics to follow when playing "Doggie Chef"! Avoid- Cheese, milk, dairy products, chocolate, macadamia nuts, walnuts, onions, liver (in large quantities), raisins, grapes, salt and sugar. There are lots of recipes on line that you can use as a guideline, whether you're looking for organic treats, weight control, veggie-only or even wheat free, there are lots of options. 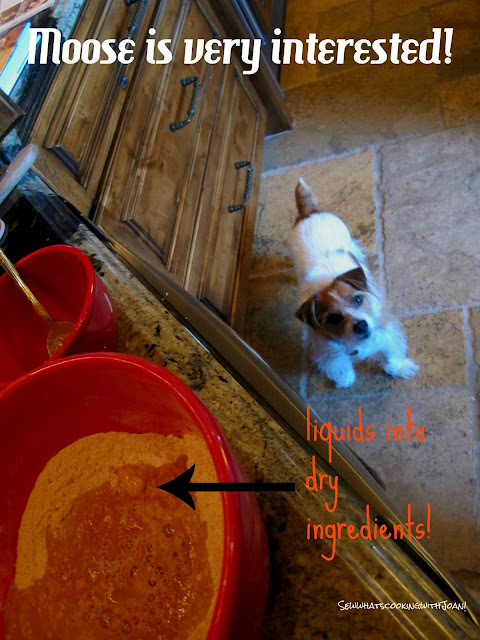 This is a simple recipe to get you started, and your best friend's tail wagging! Mix together the flour, oats and cinnamon. Put the peanut butter, chicken broth and water in a microwave safe bowl and microwave for 15 seconds on high. Stir, and microwave again 15 seconds until the liquids incorporate into each other. Make a well in the dry ingredients pour the peanut butter mixture into the well and mix together with a fork until the dough forms. 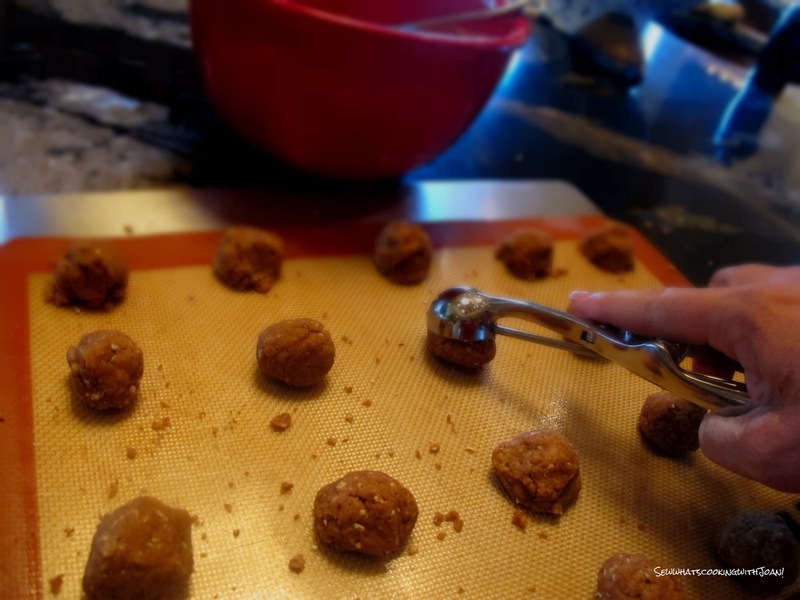 Using a small ice cream scoop or tablespoon, scoop the rounded balls onto a silpat or parchment paper line cookie sheet. Create a indentation with your thumb. Spoon a dollop of jam into the indentation using a teaspoon. 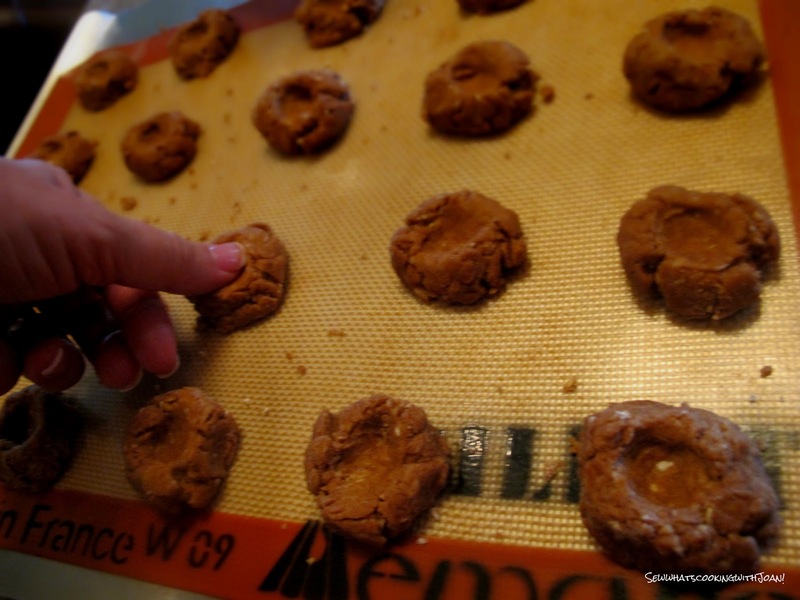 Freeze on cookie sheet for storage, Once frozen, put them into a freezer bag!